The following is general information and advice about setting up a company in Thailand and doing business here, and the working environment in Thailand. Generally, if you have real intentions of doing business in Thailand, then setting up a company and doing legitimate business in Thailand is fairly straightforward, especially compared to many other countries. While many people never think to hire a lawyer until they have a legal problem, the time to hire your business lawyer is before your business runs into trouble. It is much easier and more cost effective to prevent legal problems than it is to solve them. But if problems do arise, you'll be better off for having an established relationship with a lawyer who is familiar with your business. Suthipong Law Office provides visa services to Thailand and every countries in the world. 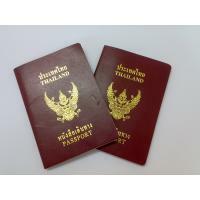 We specialize in Thai immigration an Thai Permanent Resident Permits. Our lawyer can help you for a successful aplication. Tax law is a complex area of law that is constantly changing. Individuals and businesses that have questions about tax law, or are facing tax debts and penalties, could greatly benefit from the advice of an experienced tax lawyer. An attorney who thoroughly understands tax law can help taxpayers through difficult problems with the IRS or state department of revenue and/or help clients avoid future problems with the government.